Every once in a while, I get it into my head that we have just way too much stuff, so I head to the basement and look through the shelves to see if I can clear out any more boxes. 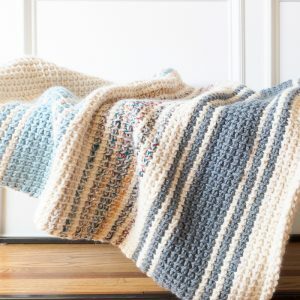 Not that I always throw things away – sometimes, a simple re-organization or re-shuffling of items helps soothe the frenzy in my head. Or, things get designated to the Donations box, which is a good feeling too, knowing it will eventually find a new home. 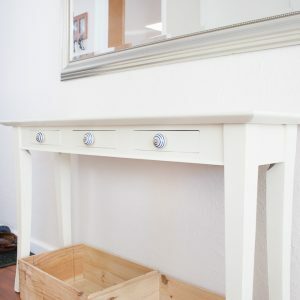 Even better is when something gets brought out and re-used or up-cycled to make something new. One day, I found a box full of frames – some with art that no longer matched anything in the house, and some that I bought on clearance ages ago. 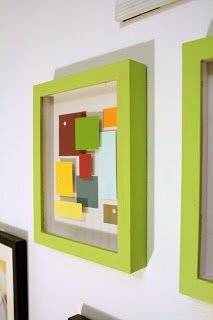 There was a shadow box of some paint chip art that I had done years ago, back before I knew about all the beautiful paint chip art that people now put together. Here is it, with the frame re-painted. 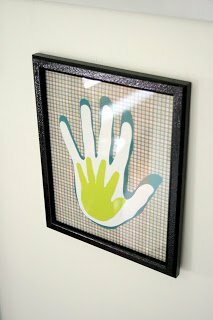 I filled another old frame with our handprints, for which I found inspiration here. After a few more old frames from yard sales, a couple of cans of spray paint, some Michael’s coupons for pre-cut mats and a splurge on some custom mats at the local framer, I now have my own picture wall! Just like what I used to see in Better Homes and Gardens or Elle Decor….or so I’d like to think! I was so inspired by the white on white look from Young House Love, but I realized that white on white doesn’t look as good when mixed with black frames – the white frames tend to get washed out. Since my husband already had some music posters he wanted to feature, I ended up using the colors in the posters to tie the black and white pieces together. Mr. Bubs points at all the pictures of himself when we walk downstairs every morning, and I love that we finally can show off some homemade art and family photos! Wow Chiwei I’m speechless on this one totally love it! 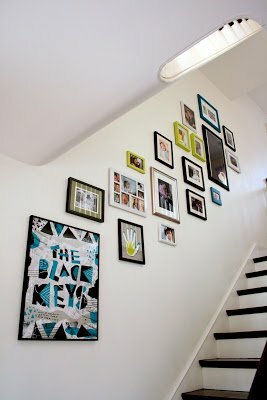 Such a cool gallery wall, and I especially love the paint chip art! 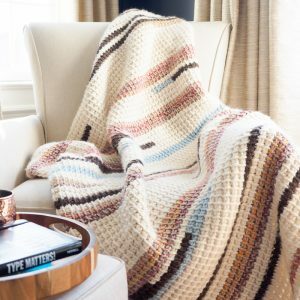 I wanted to let you know that I featured it on my blog today as part of a roundup of unique framed art ideas! 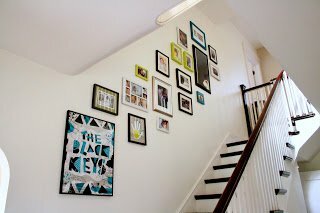 Check it out here: http://justagirlandherblog.com/unique-framed-art-ideas/ . Thanks so much for the inspiration!